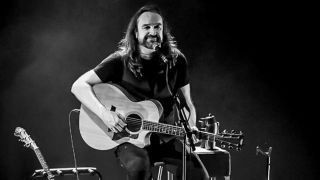 Damian Wilson has shared a special version of his track Impossible. The original version appeared on the former Threshold frontman’s Built For Fighting album, which was released in September 2016. The new version has been remixed by producer Dave Bascombe and can be listened to below. Impossible is now available to stream and purchase and along with the remixed version, Wilson has also released a cover of Depeche Mode’s Somebody. The song originally appeared on the band’s 1984 album Some Great Reward. In March this year, Wilson and Threshold parted ways in what the vocalist described as not a “mutual decision.” The band said they had wanted to “start a new chapter without him” and brought back frontman Glynn Morgan. Wilson has a number of live dates scheduled throughout the remainder of 2017, including shows with Arjen Lucassen’s Ayreon Universe. Find further details below.